If you’ve recently decided to venture into the world of songwriting, you might be wondering where to start. 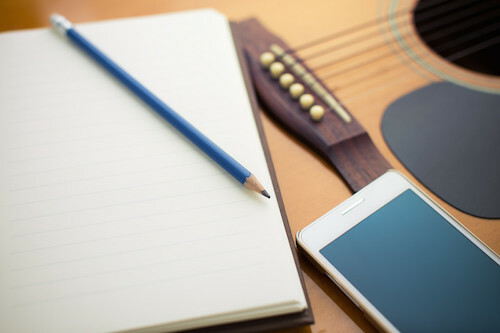 Here are 14 beginner songwriting tips that are sure to set you on the path to success. Listening to a wide range of different music effectively ticks both of these boxes. Listening to a style of music you wouldn’t usually listen to will broaden your musical horizons and provide you with new ideas to incorporate into your own songwriting. There’s something to be learned from every genre, from the riff-work of heavy metal to the highly-technical nature of jazz. The melody: What parts of the melody stand out? Why? The chord progression: Is it a simple or complex chord progression? Are there any interesting moments such as a key change or an unusual pivot chord? The arrangement: How are the verses different from one another? How does the instrumentation in the bridge differ from the chorus? What do the backing vocals in the coda section add? The structure: How long is the intro? Is the second pre-chorus shorter than the first? How many choruses are there? The lyrics: What’s the hook? What’s the story? What lyrics do you find yourself connecting with and why? It’s also worth noting the notorious quote ‘good songwriters borrow, great songwriters steal’. Whilst it’s never a good idea to blatantly plagiarize someone else’s work, don’t be afraid to ‘lift’ chord progressions, segments of melody or arrangement techniques you like from a song and use it to influence your own work. Having at least a basic understanding of music theory will not only make the songwriting process easier, but it’ll also vastly improve the quality of your material. Whilst music theory might seem daunting to a complete beginner, most of the concepts aren’t overly complicated and you won’t need an in-depth understanding of the subject to start improving your material. How to read sheet music: Clefs, note durations rhythms etc. Chord Progressions: Common chord progressions, cadences, circle of fifths etc. Scales: Major & minor scales, keys. Intervals: Consonant & dissonant intervals, inversions. Rhythm: Time signatures, syncopation, off-beat rhythms etc. Almost all music theory can be learned online for free. I’d highly recommend starting on YouTube as many of the concepts are easily understood from a visual standpoint. 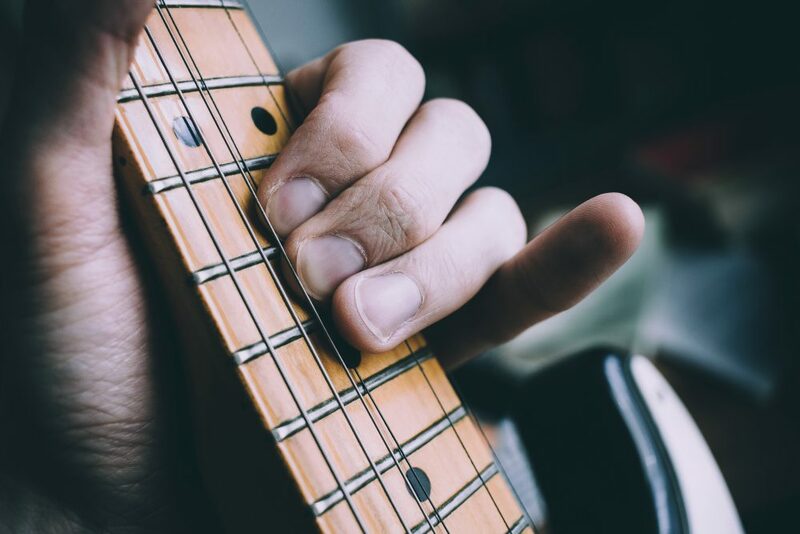 Even if it’s just a riff, melody line or a single lyric, writing on a daily basis keeps you in a creative headspace and allows your skills to consistently improve. Additionally, it’s worth keeping an arsenal of ‘spare parts’, such as lines you’ve written or riffs you’ve come up with. This’ll come in handy when you’re working on a particular song and need something to piece it together. Whilst your ‘spare parts’ will most-likely be made up of voice memos and digital notes, I’d highly recommend working on pen & paper when it comes to actually writing a song. With pen & paper, it’s much easier to draw diagrams and add additional notes or comments in the margin. This’ll make it much easier to regain your train of thought when you revisit the song at a later date. Buy a notebook and make it your ‘songwriting book’, which will also make a great memento a few years down the line. 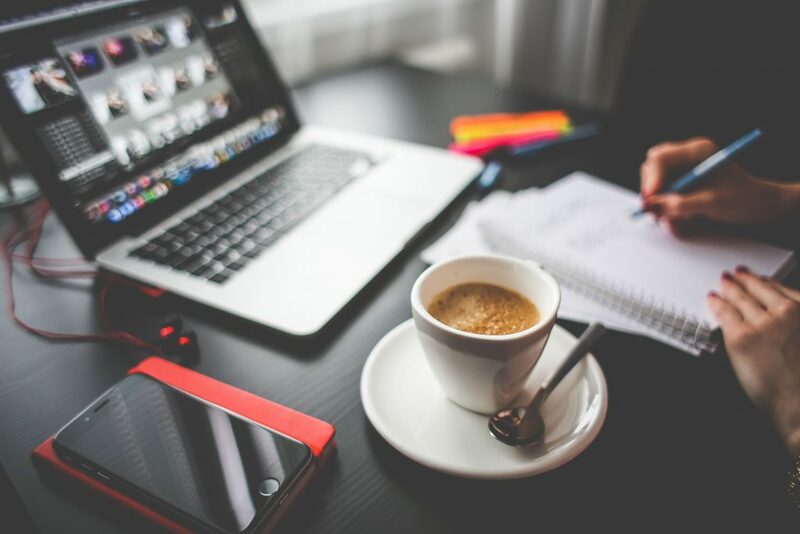 Sooner or later, you’ll stumble upon the method of writing that works best for you. Remember that there’s no set method to songwriting, just a number of different approaches. Many beginner songwriters assume they have to write the individual parts of a song in linear order. Whilst this approach works for some, it can often cause a serious case of writers block. If the first thing you come up with is a bridge section, it’s completely fine to write around it. Often times, starting at the middle or the end can often provide guidance on where you need to end up when you eventually write the first few sections of the song. 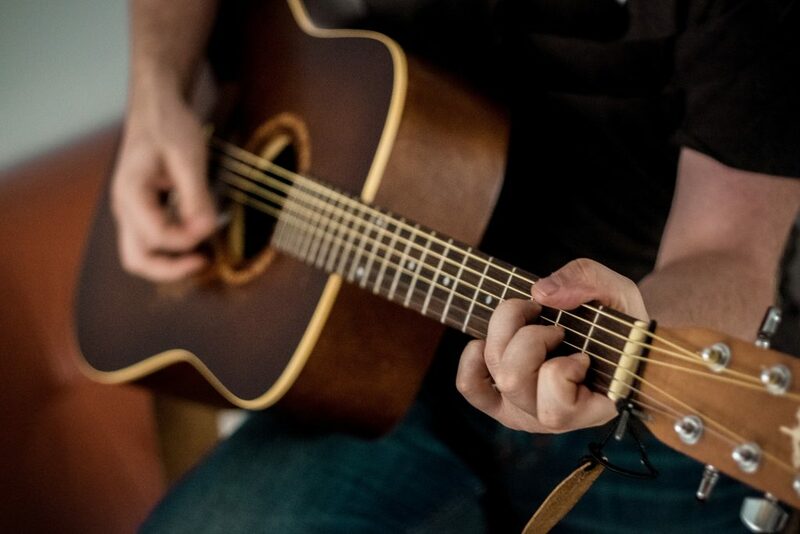 In many cases, less is often more when it comes to songwriting. Most commercially successful songs are made up of a no-nonsense hook, simple chord progression and a relatable set of lyrics. Whilst there are obvious exceptions when it comes to genres such as math or progressive rock, most pop and rock songs are most effective when they aren’t trying to be clever. If you hit a case of writer’s block whilst working on a song, it’s usually best not to force it. Close your songwriting notebook, put your guitar down and promise to come back to it another day. The creative side of the brain is often most effective during downtime, meaning you might finally come up with a cool line for that chorus in the shower the following day. When you’re first starting out, it’s likely you’ll find it easiest to write lyrics from personal experience. Not only will it be easier to find lyrical inspiration, but your work will also come across as more genuine and sincere. Once you see the quality of your lyrical content starting to improve, you can try writing either from the perspective of another person or from a fictional standpoint. When writing lyrics, consider making use of similes, metaphors and descriptive language in order to leverage imagery within your work. Songwriting can often be an uphill struggle when you’re first starting out. Good songwriting takes time and effort to develop and it’s likely that your first few attempts won’t be your best. In order to speed up your progress, it’s important to take a ruthless approach to your work; if your chorus doesn’t quite fit, write another one. If your story contradicts itself, re-write your lyrics until it doesn’t. When it comes to releasing your work, you’ll want to select only your very best material. Even the most successful bands and artists often go into a studio with at least double the material that actually ends up on an album. If you’re tearing your hair out over a particular song and just can’t seem to make it work, don’t be afraid to scrap it and move on to something else. Remember that you can always salvage the good bits of a song that didn’t work out and put them back into your ‘spare parts’. Co-writing can be an immensely enlightening experience and serves as a fresh set of eyes to your material. Additionally, serving as a fresh set of eyes for someone else’s material enables you to see songwriting from an entirely different point of view. With two sets of eyes on a single song, it also means material will often get finished much faster. This means you can progress at a quicker pace and build up a serious backlog of material.